Full-Time Two Year Diploma. Next intake September 23rd, 2019. The new 2-year (6 semester) Application & Web Development program provides students with both the technical and design skills required for a variety of careers related to application and web development. We produce well rounded developers who can enter the workforce with existing skills, and who will have studied professional development methodologies and best practices. To accomplish this, we focus on a practical, project based approach to learning. We teach each student how to develop a wide variety of applications, Including websites, web applications, mobile applications and desktop software systems. Students build a personal portfolio of projects that can be used to find work immediately after graduation. During this process, students have the chance to develop individual talents and interests while showcasing industry expected skills that meet the needs of future clients and employers. The learning experience at Pacific Design Academy is like no other. Every instructor who teaches application & web development is a working professional in the Information Technology industry. They bring their industry experience and standards to their students. They teach because they are passionate about software and web development and love inspiring others to contribute the future of this exciting field of employment. The Application and Web Development program is a two year course with 1440 intense hours of educational time. Each year has three 12 week semesters. Fees for all the programs are listed on page 3 of our Application Form. "We’re learning a lot of relevant information in a short amount of time. Perfect for the fast moving industry that is web development." "Application and Web Development has been a wonderful hands-on program providing useful insight into future career paths and practical development skills." Students will learn the basic concepts of data modelling, database design and development. Practical application experience will be gained throughout several database projects by writing MySQL and T-SQL database code. Students will also learn to administer SQL Server and MySQL Server through SQL Server Management Studio and PhpMyAdmin respectively. Through in-class discussion and assigned projects, students will learn to develop solutions to common design problems. Key concepts will be explained involving interaction design and visual design. Students will practise these concepts by building and designing application user interfaces. Students will learn about the history of programming, and will then be introduced to current application development methodologies, best practices, and processes. Students will also be introduced to programming language features, logic and structures including object oriented programming, boolean logic and the binary numbering system. Students will be introduced to the role of a Business Analyst as it relates to software development. Students will learn the fundamentals of business analysis, including looking at the business case, functional requirements, business requirements, stakeholders, teamwork, project management, and selecting technologies for client solutions. Students will also have a chance to work with real clients to complete technology projects. Students will learn the basics of project management, including building a project timeline, monitoring progress, and learn tools and skills to ensure a project stays in scope and is ready on time and on budget. Students will be introduced to application development on iOS, including using XCode to build applications using the iOS user interface and key iOS libraries, such as CoreData, MapKit, and SpriteKit. Students will be introduced to the concepts of Android app development, including programming methodologies, user interface components, Activity/Fragments, system permissions, file & database storage, assets, responsive design, hardware sensors & cameras, game development, and Play Store publishing. Students will learn the Xamarin cross-platform UI toolkit and native mobile app development framework. Throughout these courses, students will learn how to develop cross platform applications for iOS, Android and Windows Universal Apps. Emphasis will be on practising object Oriented programming skills, learning how to share code between all platforms, and designing a user interface that works cross platform. Students will learn the skills necessary to build and maintain a web server suitable for a small business or start-up production environment. Students will explore concepts such as virtual machines, enterprise operating systems, permissions, public/private keys, log files, bash command line scripting, Cron, security, mail, DNS, web servers and database servers. Once students learn the basics, they will be introduced to Linux management GUIs like cPanel and Webmin. Students will learn the skills necessary to promote themselves professionally. Students will develop a GitHub portfolio and hone their marketing skills, and will participate in mock technology interviews to completely prepare them for a potentially intense hiring process. Jeary has Masters of Computer Science specializing in front end development and navigating web pages with use of an eye tracker and speech recognition mechanism. Working at reThink Green, Jeary was responsible for developing the website, providing troubleshooting and support. Jeary is an avid outdoor adventurist who loves to explore and he enjoys hiking, weight training, crossfit, reading self improvement books and photography. Jeary is passionate about making sure that systems, interfaces, language and graphics are human-friendly, emotive, aesthetically pleasing, clear, on-brand and usable — with a touch of creativity. 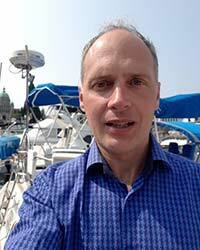 David has lived in beautiful Victoria, BC Canada for 13 years, with his wife, three children, and golden retriever while serving the business community as a software developer. His speciality is in developing web forms and in his spare time he enjoys researching technologies for mobile development. He has experience in a wide array of industries including university research, oil & gas, banking, and social media. 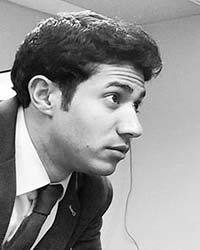 David posesses excellent people skills and a strong desire to teach the next generation of technological innovators. Marvin graduated with a degree in ICT & Media Design from Fontys University before moving to Belgium to attend KU Leuven in pursuit of a second degree in philosophy. He specialises in custom web application development but has worked on a multitude of different projects throughout the years. As a co-founder of start-ups in different fields, Marvin has experience with many facets of application development and software engineering. 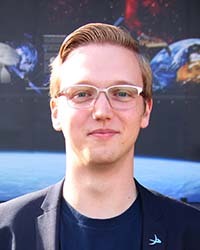 In his spare time, he advocates for space as an outreach coordinator of The Planetary Society. 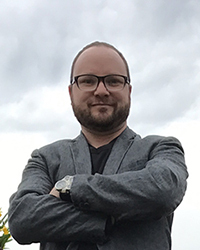 Jamie Renney graduated from the Graphic Design Program at Pacific Design Academy in 2000 and has since worked in many facets of the industry including large format design, printing and production, digital marketing, web design and interactive digital signs. In 2008 he opened Original Fire Creative Studio and has worked with many businesses to create successful marketing and advertising campaigns, presented in various mediums. He is always exploring new ideas and creative concepts to find innovative solutions in a quickly changing industry. 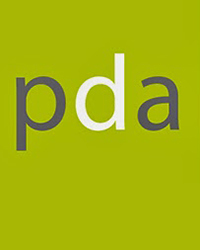 Designed and produced by Pacific Design Academy. with Webflow.